CubeBug-1 is the first technology demonstration mission for a new cubesat platform design (mechanics, hardware and software) intended to be released as Open Source and Open Hardware for its use in Amateur projects, University projects and research labs. This project is sponsored by the Argentinian Ministry of Science, Technology and Productive Innovation, INVAP S.E., Satellogic S.A., and Radio Club Bariloche. As payload on this first mission, some custom designed components will be tested: an ARM based on-board computer, a nano-reaction wheel with its driver circuit and a low resolution camera, all based on COTS components. 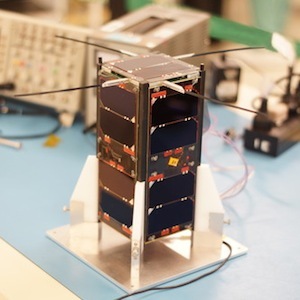 CubeBug-1 is expected to be launched as part of a group of cubesats in a DNEPR rocket launch planned for September 2012 from Yasny launch base, in Orenburg, Russia. After the technology demonstration part of the mission is over, the satellite will enter a mode that will include services to the Amateur radio community, including a Digipeter and science data downloads from the payload. The source of the AX.25 packet is labeled as “CUBEB” and destination “UI”. The data portion contains a binary blob. There are mainly two beacon formats. Packets starting with FF FF F0 are the complete beacon, packets starting with FF FF F3 are a short beacon, with basic information, and a different encoding. All numbers in the packets are stored in network byte ordering (Big Endinan). Most values require a conversion formula, provided in the next table. The short beacon is encoded a bit different. 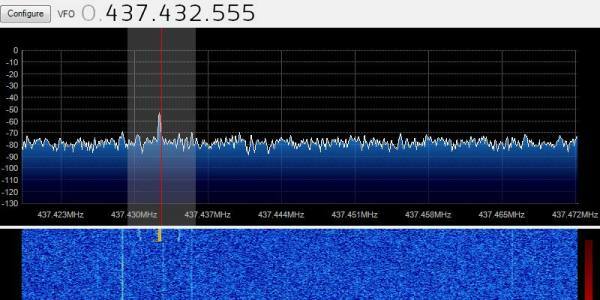 For every bit the satellite wants to transmit it actually transmits 4. So, for example, the 8 bits 0xA5 become F0F00F0F in the air (a nibble per bit). As this encoding transmits more energy with each bit, it will give us a chance to decode some basic telemetry in a worse scenario. 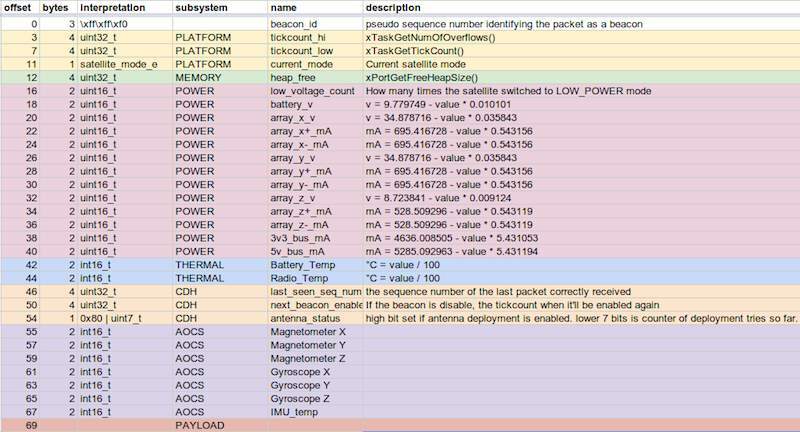 The first three bytes (FF FF F3) identify the packet as a short telemetry beacon, the rest must be “decoded” before interpretation. Launched and active. Will be launched by a Chinese Long March 2 on April 26, 2013. Here is an image where you can see a carrier with very weak sidebands this data was received on April 26, 2013 around 12:00 UTC.